Visitors to Chorley Park in northeast Rosedale may notice a cul-de-sac roadbed off Douglas Drive that seems out of place with the surrounding greenery and serenity of local residents enjoying a rest on a bench. 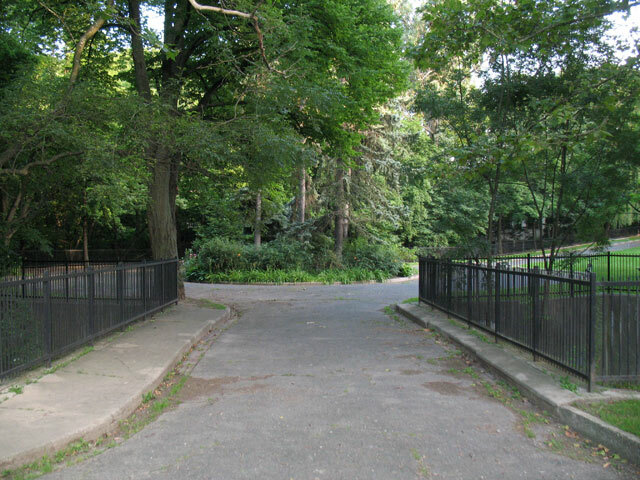 Off the road is a plaque commemorating the tumultuous history of the building that once occupied much of the grounds. The half-century saga of Chorley Park saw the main building go from a magnificent manor for government dignitaries to a crumbling ruin deemed too expensive to maintain. Along the way it was embroiled in government scandals, war efforts, schemes to find a lasting function, and the city’s unending and ultimately successful effort to buy the property for its current use. 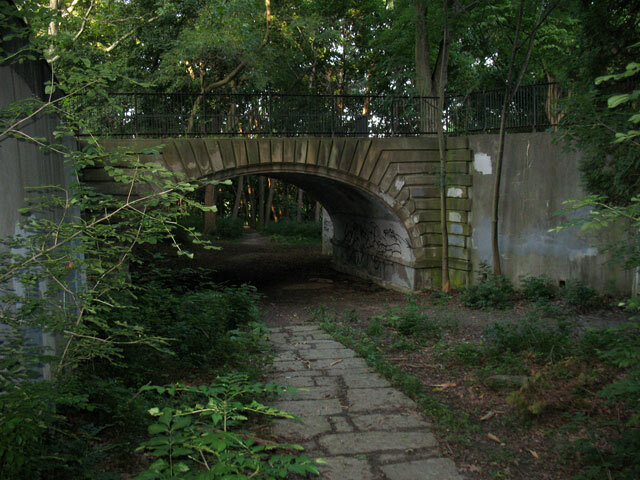 By the shortest route the distance between Chorley Park and the Queen’s Park is more than two miles and a half, and the former stands in a part of the city that is seamed with deep and wide ravines. The locality is admirably adapted for private residences. But Government House is not a private residence; it is in reality a very public institution, and as such it should be located on a spot as easily accessible as unavoidable obstacles will permit. Despite the city’s efforts to swap donated property at the northwest corner of Davenport Road and Bathurst Street for the Chorley Park site (which would have become parkland), the province began construction later in the year. Architect F.R. Heakes’ design was modelled on chateaus in the Loire Valley and took four years to complete at a cost of more than four times the initial budget of $215,000. The expenses required to maintain the property soon became the subject of complaints at Queen’s Park, especially from the United Farmers of Ontario and the Liberals. One politician not enamoured of Chorley Park was Mitchell Hepburn (pictured on the right), who made its closure a Liberal campaign plank in the 1934 provincial election, objecting to its $25,000 annual expense. As Premier, Hepburn vowed to maintain funding for only the time period that Lieutenant-Governor Herbert A. Bruce remained in office. When Bruce resigned in November 1937, Hepburn immediately ordered Chorley Park’s closure. He quickly rejected Conservative leader Leopold Macaulay’s offer to set up a non-partisan committee to study options for the property. 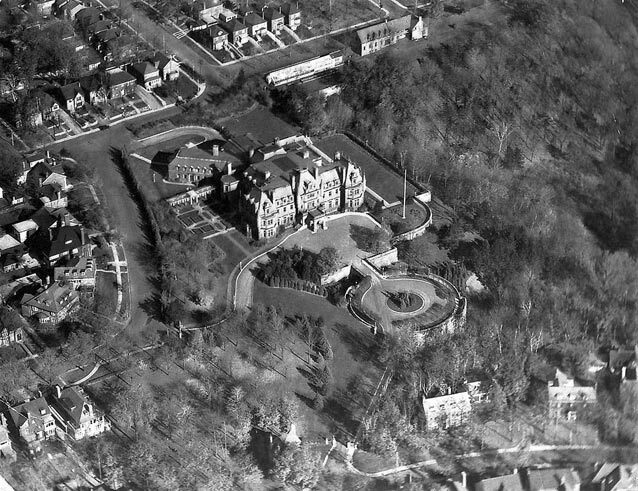 In May 1938, Hepburn offered the property to the Hospital for Sick Children but Toronto mayor Ralph Day refused to abolish restrictions limiting the area to residential use. The following month, the province auctioned off much of the furnishings, including beds previously used by visiting royals such as the Duke of Windsor and place settings used by British prime ministers. Sick Kids accepted the property in early July but did little with it other than fix a leaky roof. 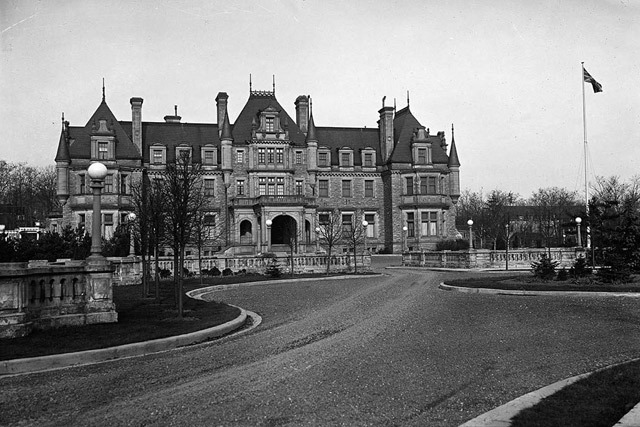 When plans arose for a visit by King George VI in 1939, Hepburn refused to provide money “to rehabilitate any architectural monstrosity like Casa Loma or Chorley Hall.” Editorial pages had a field day attacking Hepburn for allowing the King and Queen to stay in a railway car instead of more opulent surroundings, with The Globe and Mail going as far as “it will be a long day before the people recover from the disgrace thrust upon them.” Mayor Day later noted that the closure of Chorley Park may have decreased the length of time the royal couple spent in Toronto. The property regained a purpose in December 1940 when it was transferred to the military for use as a hospital and convalescent home for soldiers. The main hall was used by the Red Cross to prepare packages for British POWs. After World War II ended, the military maintained the hospital for another decade and used the building as a recruitment and training centre during the Korean War. In April 1955, the Royal Canadian Mounted Police acquired use of Chorley Park for administrative staff. Temporary buildings were also constructed to house reserve units of the army medical corps. Both groups appear to have departed the following year, with the Mounties determining that renovations would prove too costly. The property’s next incarnation was as a temporary home under University of Toronto supervision for refugee students from Sopron, Hungary, who had fled their homeland in the wake of the Hungarian Revolution of 1956. The next three years saw seemingly endless negotiations between the city and the federal government over the transfer of the rapidly deteriorating property. The city hoped for a similar deal to that struck for Sunnybrook Hospital, where the property would be sold to Toronto for the grand total of $1. The Parks Department devised a plan to demolish all of the buildings and possibly build a war memorial. A deal was finally reached in November 1959 when the city acquired the property for $100,000. Despite efforts from local arts agencies that led to proposals including an art gallery, cultural centre, and ballet school, most city councillors echoed the thoughts of alderman Fred Beavis, who wanted to “blow it up.” Repairs were estimated at $250,000, money which a Canada Council–sponsored committee led by architect Eric Arthur argued could be better used by city council to preserve St. Lawrence Hall. After a year of debate, a 6-4 Parks Committee vote in November 1960 allowed demolition to begin. Pieces of the building wound up as restaurant decor—chimney pieces were integrated into Les Cavaliers at Church and Granby Streets, while gas lamps found a home at the Tom Jones Steak House when it opened in 1966. All that remains is a bridge and driveway that led to the house. That little else was left feels like a show of spite from the city when they finally won their 50-year battle to give northeast Rosedale a park. Present-day photos of Chorley Park by Jamie Bradburn. 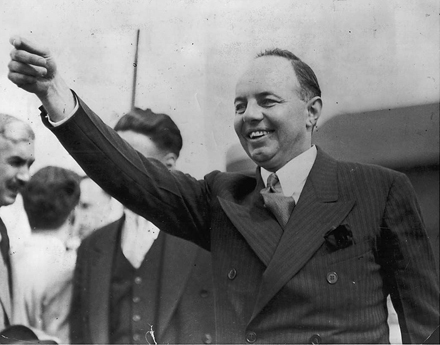 Photo of Mitchell Hepburn from the City of Toronto Archives (Mitchell Hepburn, Liberal Premier of Ontario, c. 1937. Fonds 1244, Item 1030). 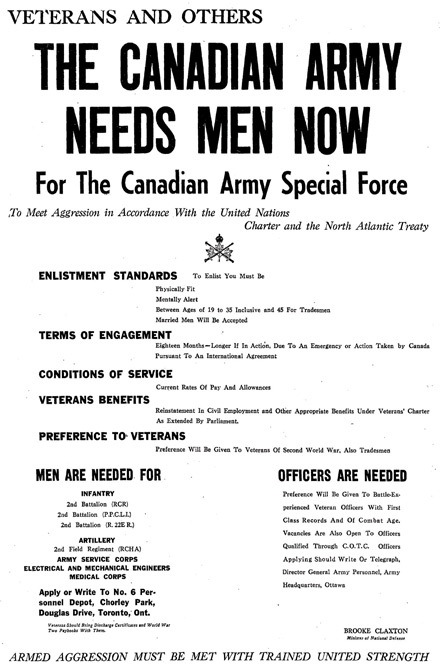 Recruitment ad from the August 9, 1950 edition of The Globe and Mail. Additional quotes from the October 13, 1938 and October 20, 1938 editions of The Globe and Mail and the December 18, 1959 edition of The Toronto Daily Star.